Winter is one of the 4 seasons in a subtropical or temperate climate. The season where the snow will fall and the weather feels cold occurs on December 21 to March 21 in the northern hemisphere, and on June 21 to September 23 in the Southern Hemisphere. Every season becomes its own special time to enjoy a holiday with family. The winter period in Russia, which coincides with the turn of the year, adds excitement to those of you who are on vacation. New year shows in Russia are one of the most important events that should not be missed. The new year celebration center is in Red Square, Russia. There will be a variety of spectacular fireworks attractions at the turn of the year. However, you can also enjoy fireworks from various parks throughout Russia because all of Russia celebrates. In addition to fireworks, there are also musical performances that will decorate all parts of Russia. To better enjoy your vacation, use beautiful trams in St. Petersburg – Russia. You will enjoy various beautiful natural scenery with beautiful trams in St. Petersburg – Russia. In addition to the new year, another celebration that coincides with winter in Russia, namely Christmas. There is an event that you must visit if you visit Russia at Christmas. The event is Orthodox Christmas. Orthodox Christmas is held on January 7. Various places such as bridges, parks and other public places will be decorated with beautiful lighting. When in Russia, you will celebrate Christmas for the second time after December 25th. What a pleasant holiday. Deer, animals that are synonymous with snow falling during winter have their own show in Russia. The Herder Deer Festival, one of the most famous events in Russia, was held at the end of March in a remote area of ​​Russia. This event will not be held in urban areas. This festival is held to save work as a deer herder. When the festival is underway, you will see many races and people who ski with deer. This festival is perfect for those of you who are teenagers or those of you who have teenagers, because all students from abroad really like the Herder Deer Festival. In addition to games performed with deer, you can enjoy a variety of cuisines made from venison. Actually this festival is similar to the winter festival held in other parts of Russia. 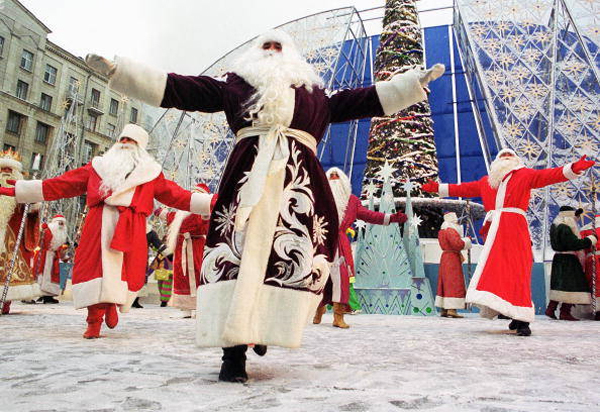 However, the popularity of the Russian winter festival in Moscow is the most famous and biggest. This festival is usually held in the period from mid-December to mid-January. There are various ice sculptures and entertainment that you will take during the Russian winter festival in Moscow. The Russian winter festival in Moscow is a place for you to learn about Russian culture. Izmailovo Park and Revolution Square are central to other songs, traditional dances, games, crafts, food and Russian culture. Besides Russian culture, you can enjoy the Russian Winter Festival in Moscow by shopping for Christmas gifts at the Christmas Village at Revolution Square. Gifts such as nesting dolls, wooden toys, painted varnish boxes, traditional clothes, and other unique Christmas ornaments can be found there. There are also ice skating and hockey games that you can do or watch when the festival takes place. You only need to come to Gorky Park, then you will see cross-country skiing. If you want another game, chess is also available. This chess game is different, because it is made of very large ice sculptures. The Russian winter festival in Moscow is among the most complete. You can enjoy anything at this festival. After a number of things will happen during this festival, you can also enjoy a variety of traditional Russian winter foods such as bagels, jams and tea here. Besides the Christmas Order, there is a Christmas celebration on winter that you must go to, namely Journey to Christmas. The event was held for a full month in many places in Moscow. Journey to Christmas is the biggest Christmas festival in Europe. Various gifts, unique souvenirs and Christmas food from 16 countries and 42 regions in Russia can be found in this festival. Journey to Christmas is held from December 14 to January 13. This event is free with visitors reaching 14.5 million annually. Music concert, costume parade, street theater performances and ice ballet will make the Journey to Christmas Festival very spectacular. This festival is really a must for you to visit if you are vacationing in Russia when winter arrives. Oh Mumbai Restaurant, from the name you already know that this is an Indian restaurant. Oh Mumbai has employees of native Indians. This restaurant which already has halal certificate is one of the most famous halal restaurants. You can enjoy various Indian foods with portions that will fill your stomach. This Market Place Restaurant, one of the best restaurants in Saint Petersburg, provides a variety of Asian foods such as fried noodles, rice noodles, cap cay, and more. ChaCha Restaurant, this restaurant is perfect for those of you who want Russian halal food. Russian food menus available in this restaurant are various such as bread, strawberry, and others. Besides Russia, there are also other European foods such as soup. This restaurant features a classic impression with decorations that win you. So much information about best place in moscow for muslim traveler for those of you who might visit the Saint Peterburg. Besides best place in moscow for muslim traveler, of course there are other best places in other Russian regions.